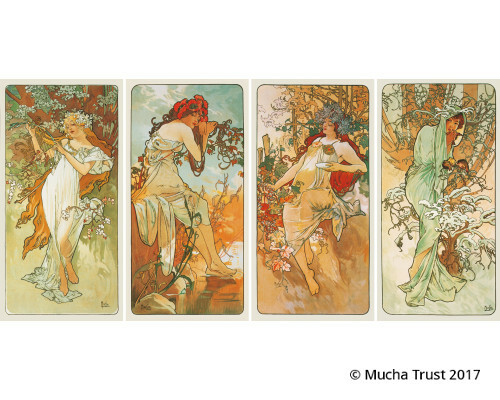 This was Mucha's first set of decorative panels and it became one of his most popular series. 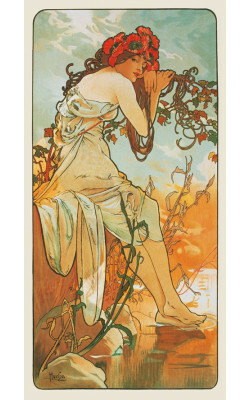 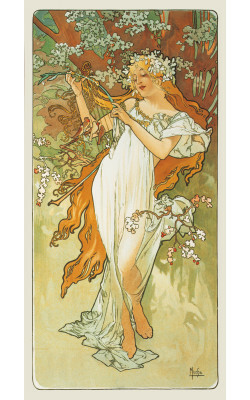 It was so popular that Mucha was asked by Champenois to produce at least two more sets based on the same theme in 1897 and 1900. 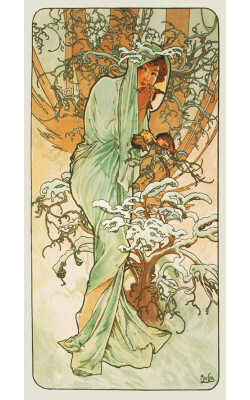 Designs for another two sets also exist. 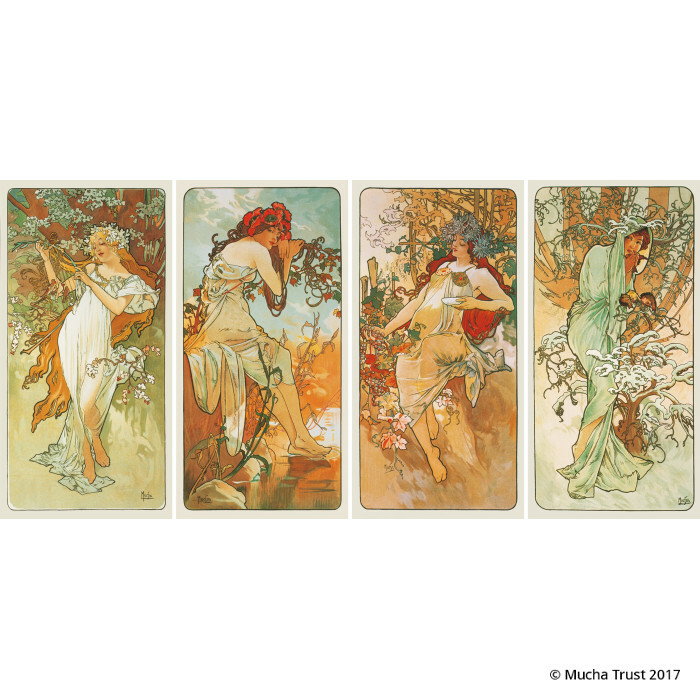 This was Mucha's first set of decorative panels and it became one of his most popular series. 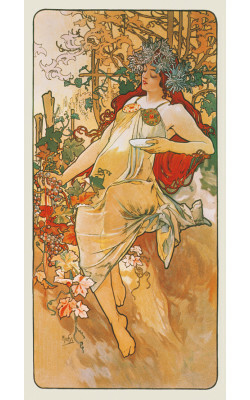 It was..